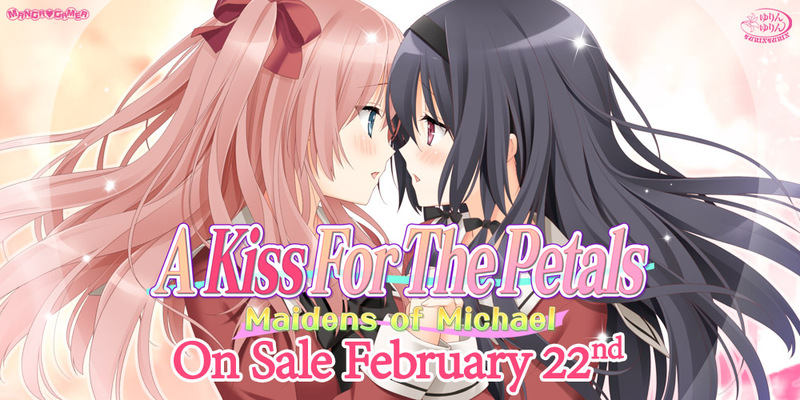 A Kiss for the Petals – Maidens of Michael – Demo Now Available! Can’t wait another two weeks to read Maidens of Michael in English? Well, you’re in luck because tonight we have a playable demo of the game for you all! Available for Windows/Linux and Mac! If you like what you read you can pre-order right now on MangaGamer.com or wait to pick up the game on the 22nd on Steam! Tagged a kiss for the petals, demo, maidens of michael, st michaels. « The Spirit Master of Retarnia On Sale Now! Doesn’t Nanami Oda share a voice actress with Yuri Kagami?